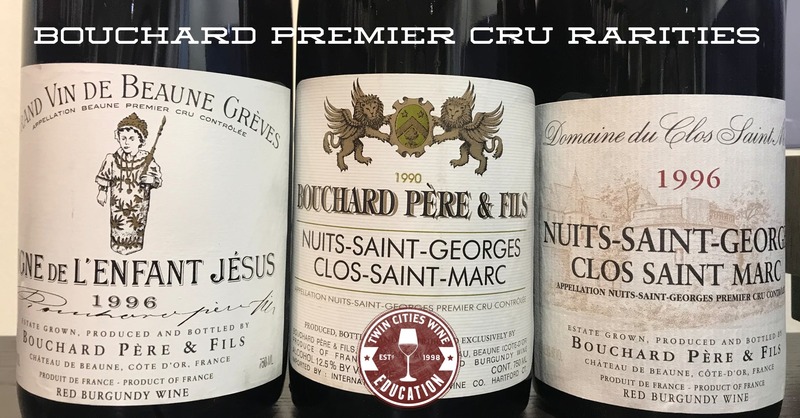 Twin Cities Wine Education proudly presents an incredible night of aged Burgundies from a favorite producer. How often can you taste top level Burgundies with 23 to 29 years of age on them? In this special class we’ll start with a discussion of the particular vintages we will experience (1990, 1991, and 1996) plus a general overview of Burgundy to understand the hierarchy of the vineyard system. Next, we’ll talk about aging wine and how to do it right (storage conditions, what chemically happens in the bottle, and much more), plus how to open older bottles for best enjoyment. Then the presentation of the wines: five gems of outstanding provenance that will hopefully be one of the top tastings of 2019. With the presentation of the wines, we will detail the particular vineyard cross-referenced with the vintage. Seating is obviously extremely limited.